Los Angeles, CA -- July 29, 2016 -- Keyboardist Gary Wright is the New Jersey-born psychology student who landed in London at the height of the rock revolution in 1967, where he founded Spooky Tooth and had a successful solo career producing the classic hits "Dream Weaver" and "Love Is Alive." 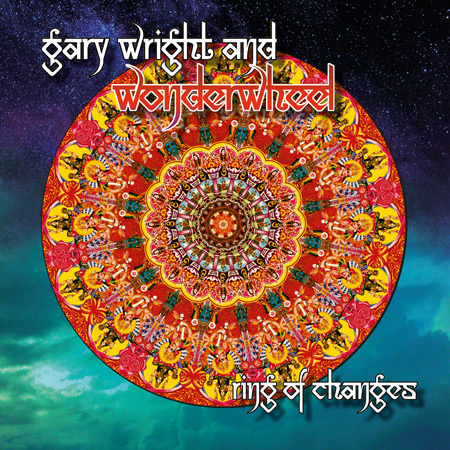 Wright recorded Ring of Changes in 1972 with Wonderwheel, a band featuring Mick Jones, who would go on to found Foreigner, Lindisfarne bassist Tom Duffey and John Bonham-influenced drummer Bryson Graham, with Jones and Graham later joining him and Mike Harrison in a reunited Spooky Tooth. The planned follow-up to Wright's two previous solo albums for A&M Records, 1970's Extraction and 1971's Footprint, the finished record will be released for the first time to digital retailers through UMe and as a CD by Cherry Red internationally on July 29. Wright, who was originally introduced to George Harrison by his Hamburg mate Klaus Voormann, who played bass on Gary's first two solo albums, explains how the Beatle ended up playing slide guitar on "Goodbye Sunday," which was not the first time either â€“ Harrison had previously played on Footprint under the pseudonym George O'Hara. Ring of Changes offers proof that some things never change, even after 44 years -- like the appeal of great rock music.